As we draw near to the Memorial Day weekend we approach the unofficial start of summer. This of course makes me think of all the things we want and will be doing this summer - having a baby, finish planting our corn and soybean crops, moving to a new acreage and having some family fun! I'm a big "list" person - the feeling of crossing off items from my list makes me smile! Anyways, here is my Family Fun Summer Bucket List for this year. We should have a lot of fun! 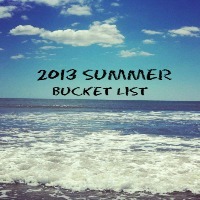 What is on your Summer Bucket List? What are some of your favorite things to do with your family during the summer? You're list sounds awesome! I love all the thing that you will be doing outside and involve nature! Riding the train and going on a camping trip sounds awesome! I cant wait to read your post as you cross fun days off your list. Thanks for linking up! 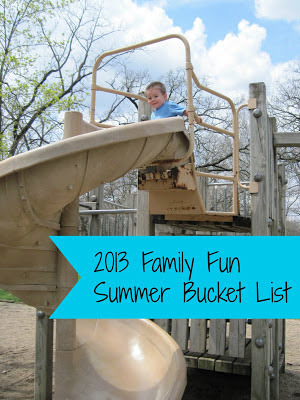 It sounds like a fun-filled Summer! Every Summer I say that I am going to have a picnic, but somehow life gets in the way. Maybe this will be the Summer to do it!